WP Car is a wordpress plugin that allows you to add new widget to Your sidebar. 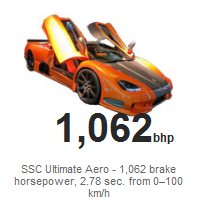 WP Car shows a car photo whith big brake horsepower ( bhp ) description and time from 0 – 100 km/h. WP car is an essential plugin for all site/blogs the subject of cars and automotive. 1. All of the photograph link (nofallow) to the relevant Wikipedia pages, so anyone interested can learn more about the car shown. 2. 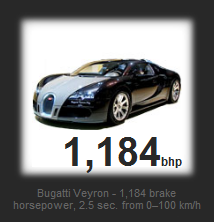 Photo is described by the large text of amount of brake horsepower, as well as a two-line description under the photo. 3. All photographs are optimized for web (jpg, quality 90%)and have a title and alt attributes. 4. Plugin adds the contents with the best practices of SEO. 5. When the page refreshes widget show different (random) photo. Copyright © 2010 - 2019 ISM. Designed by ISM & FabThemes.com.